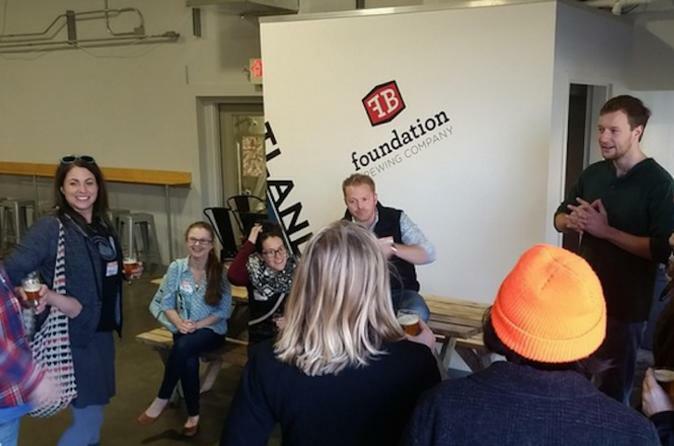 Get a jumpstart on your weekend with this brewery tour in Portland! Hop on the bus and visit three local breweries to get a behind the scenes look and taste the beers that are helping Portland become one of the nation's premier beer destinations. For our first stop, we will be visiting Sebago Brewing Company. Founded in 1998, Sebago Brewing has become Maine’s premier contemporary American brewpub and one of the fastest growing craft breweries in the state. With four pubs located throughout Southern Maine, and an impressive brand new production facility in Gorham, they clearly demonstrate a refusal to stay with traditions that often can be found in a company with 20 years in the business. The new 31,000 square foot brewery and a four vessel, fully-automated, 40-barrel brew house more than doubles the size of the facility that had produced their beers for a dozen years. The need for this new modern brewery was made clear with amazing growth over the past several years of their year-round core beers, five seasonal beers and several highly anticipated, limited-edition Single Batch Series beers. On to our next stop, Yes Brewing. Longtime homebrewer John Bigelow wanted their company Yes Brewing to bring something unique to the area craft brewing scene. What if a small brewery could make small batches of typical styles, but then also use very unique ingredients to complement their beer? After partnering with brothers Brady and Troy Frost, Westbrook’s second brewery opened their 2,400 square-foot facility in June of 2017. Quickly people have figured out that mint can exist in an IPA, and that jalapeno pale ale is actually pretty good. Check out how they are able to produce enough of their beer on a small system while sipping on one of their newest offerings. Last but not lease, we will visit Oxbow Blending and Bottling. A dynamic brewery with a true farmhouse operation in Newcastle, Oxbow Brewing Company recently opened a second tasting room and warehouse facility to better serve the Portland community. The hip space is bursting with graffiti by local artists and jammed with oak barrels to grow the company’s internationally-recognized wild beer program. This gives fans unprecedented access to a wide range of Oxbow’s hoppy saisons and funky experiments. Tour stops and itinerary subject to change based on production or facility needs.